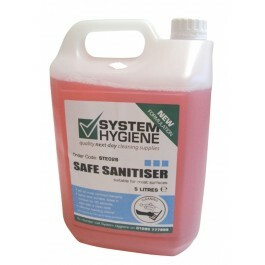 System Hygiene Safe Sanitiser is a foaming, hard surface cleaner suitable for use on most surfaces. It will kill most commonly found bacteria and is ideal for use in kitchens, food preparation areas and hospitals. 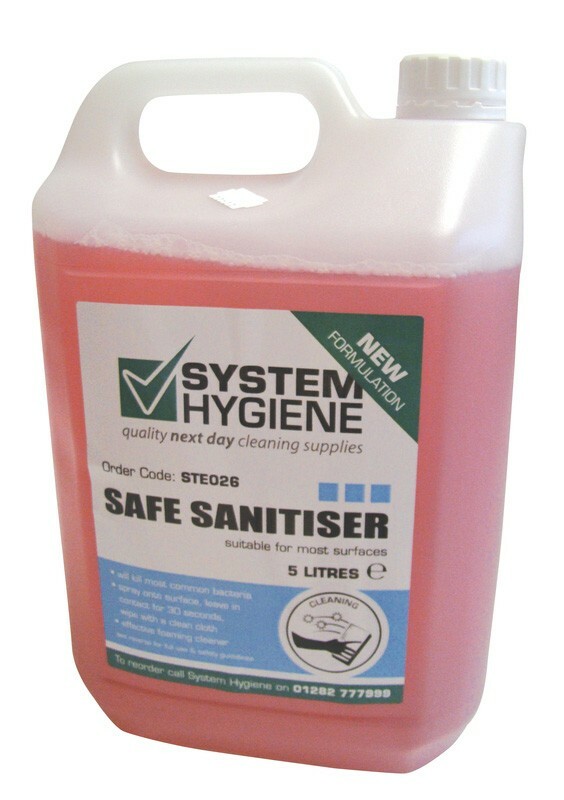 Recommended for use on a variety of surfaces including worktops, cutting boards, tables, vending machines, refrigerators, kitchen equipment, shelves, floors and walls. It will quickly and effectively kill gram positive and gram negative bacteria including MRSA, the virus that causes Hepatitis B and HIV, and Clostridium difficile (C-Dif). Formulated specially for the food and catering industry. Use the product neat. Spray on to the desired surface and leave in contact for approximately 30 seconds. Once ready wipe over with a clean cloth.